Marie is the owner and founder of Marie Haynes Consulting, a SEO consulting firm that specializes in SEO consulting. Marie is a consulting, strategist, and speaker about SEO, with 9 years of experience in SEO. She is a contributor to Search Engine Watch and MOZ. Eric is the former CEO of Stone Temple consulting, a SEO firm, and he is now the general manager of Perficient, a digital and technology agency that acquired Stone Temple Consulting in 2018. Eric has more than 15 years of experience in SEO. He is a consultant, strategist, and speaker in SEO. He was named at 2016 Sales Marketer of the Year at Landis, and he was also named 2016 Search Personality of the year at the US Search Awards. 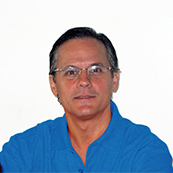 Julio is a Google SEO consulting, strategist, and speaker, with 17 years of experience in SEO. 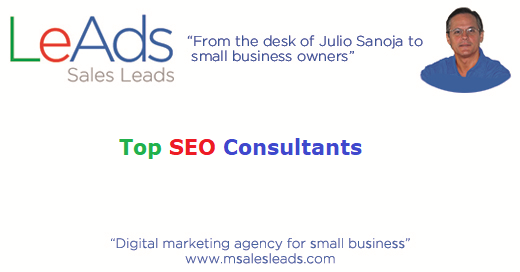 Julio is the owner and founder of MSalesLeads, a digital marketing agency and SEO agency founded in Miami in 2015. He was the former founder and owner of Empresa Web, a digital marketing and SEO agency founded in 2002. Julio and his agency has been featured by Design Rush as one of the top 25 SEO agencies in 2019. Michael Cottam is a SEO consultant and strategist. He has 9 years of experience in SEO. Michael is a MOZ collaborator, writing articles for the MOZ blog and collaborates in White Board Friday at MOZ also. Michael charges his customers $ 350 per hour of SEO consulting. Aaron is a SEO consultant and strategist. He serves his customer online. This article was written on March 18, 2019.